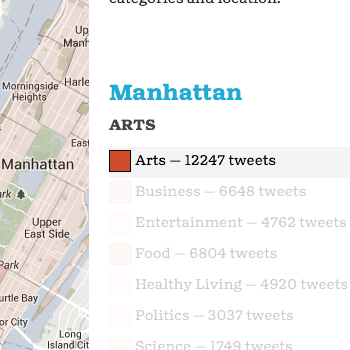 What people are tweeting in your city. 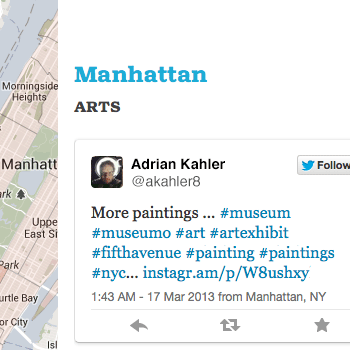 Neighborhood Buzz shows users what people in a particular city neighborhood tweet about most. Pick a city, then choose a topic (sports, travel, food, etc.) and the system creates a heat map of the city that shows how often people in different neighborhoods tweet about that topic. 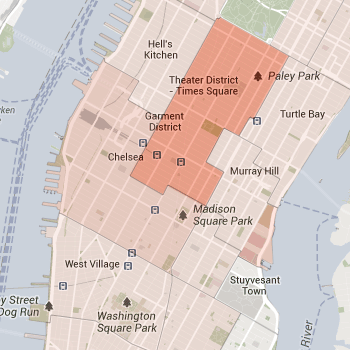 Click through different neighborhoods to see what each area tweets about most.